Electrum is a naturally occurring alloy of gold and silver, with trace amounts of copper and other metals. It was used by the Greeks and Byzantines who called it “white gold” to produce coins, and is often known as green gold. Therefore, by definition, the keyword is generic; this is why the domain Electrum.com was registered in 1996. The decision to transfer the domain was rendered by Warwick A. Rothnie, panelist, who identified the similarities in use between the disputed domain and that of the Complainants: blockchain and cryptocurrency products. In their argument, the Complainant emphasized their “Electrum” followship on Twitter and other social media, along with their usage and active trademarks, since 2011. It seems that by using the domain in a manner other than the generic meaning of the keyword, the Respondent lost the case. The Complainant is Thomas Voegtlin of Berlin, Germany, represented by Law Office of Roberto Ledesma, United States of America (“United States”). The Respondent is Domain Admin, Whoisprotection.cc of Kuala Lumpur, Malaysia / Tech Support, Katz Global Media of Tucson, Arizona, United States. The disputed domain name <electrum.com> is registered with Web Commerce Communications Limited dba WebNic.cc (the “Registrar”). The Complaint was filed with the WIPO Arbitration and Mediation Center (the “Center”) on May 15, 2018. On May 16, 2018, the Center transmitted by email to the Registrar a request for registrar verification in connection with the disputed domain name. On May 17, 2018, the Registrar transmitted by email to the Center its verification response disclosing registrant and contact information for the disputed domain name which differed from the named Respondent and contact information in the Complaint. The Center sent an email communication to the Complainant on May 22, 2018, providing the registrant and contact information disclosed by the Registrar, and inviting the Complainant to submit an amended Complaint. In response to a notification by the Center that the Complaint was administratively deficient, the Complainant filed an amended Complaint on May 22, 2018. On May 28, 2018, the Complainant filed a second amended Complaint. The Center verified that the Complaint together with the amended Complaint and second amended Complaint satisfied the formal requirements of the Uniform Domain Name Dispute Resolution Policy (the “Policy” or “UDRP”), the Rules for Uniform Domain Name Dispute Resolution Policy (the “Rules”), and the WIPO Supplemental Rules for Uniform Domain Name Dispute Resolution Policy (the “Supplemental Rules”). In accordance with the Rules, paragraphs 2 and 4, the Center formally notified the Respondent of the Complaint, and the proceedings commenced on June 1, 2018. In accordance with the Rules, paragraph 5, the due date for Response was June 21, 2018. The Center received an email communication from a person who is apparently the Respondent on June 4, 2018. A formal Response was not filed, and the Center notified the Parties that it would proceed to appoint the administrative panel. On June 22, 2018, the Complainant filed a supplemental filing with the Center. The Center appointed Warwick A. Rothnie as the sole panelist in this matter on July 5, 2018. The Panel finds that it was properly constituted. The Panel has submitted the Statement of Acceptance and Declaration of Impartiality and Independence, as required by the Center to ensure compliance with the Rules, paragraph 7. The Complainant began using “Electrum” to identify his software product in 2011. The software product is a wallet for Bitcoin. The software may be downloaded from the Complainant’s, or his company’s, website: “www.electrum.org”. The Complainant’s company is Electrum Technologies GmbH. The Complainant’s Electrum software is provided free, but generates revenue via partnerships with third party companies, who sell services within the software. Since 2011, there have been over three million downloads of the software and two million installed users. In the past year alone, there have been 1.2 million downloads of the Electrum software from unique IP addresses associated with the Windows version, 350,000 downloads of the Mac version, and 215,000 downloads of the Linux version. The Complainant promotes his Electrum software extensively including through presentations and major Bitcoin conferences around the world and media interviews. The “Electrum” Twitter account has 20,500 followers. The software has been reviewed in numerous media publications. Users of the Complainant’s Electrum software have been measured as generating five percent of all Bitcoin transactions. The Complainant has pending trademark applications for a European Union trademark, Application No. 017900524, and a United States trademark, Application No. 87919717, for computer software in International Class 9. It is not clear when the Respondent registered the disputed domain name. The Registrar has confirmed that the disputed domain name was first registered with it in the current registrant’s name on April 12, 2018. The language of the registration agreement is English. An email sent from a person who is apparently the Respondent in response to the Center’s notification of the Complaint claims that the disputed domain name is being used to promote the sale by Fujian Nanan Top Way Stone Co., Ltd. of their “Electrum rare coins” and marble. At the time this decision is being prepared, the disputed domain name does resolve to a web-page referring to that company and apparently promoting its wares. The Complainant has submitted evidence, however, showing that the website to which the disputed domain name resolved before the Complaint was filed offered downloads of software purporting to be the “Electrum Pro” Bitcoin wallet. As verified by a number of independent sources,1 the software included code which diverted a user’s Bitcoin to the website operator. In response to the notification of the Complaint, the Center received an email from someone appearing to be the Respondent. A more formal Response was not received. The Second Amended Complaint, however, was sent to the physical and electronic coordinates for the Respondent as confirmed by the Registrar. Accordingly, the Panel considers that the Respondent has been given a fair opportunity to respond to the Complaint. Secondly, the Panel notes that the language of the registration agreement for the disputed domain name is in English and is the default language of the proceeding unless the parties agree otherwise or there is some other good reason: see paragraph 11 of the Rules and WIPO Overview of WIPO Panel Views on Selected UDRP Questions, Third Edition (“WIPO Overview 3.0”), section 4.5. The Complaint and the email submitted by someone who is apparently the Respondent have both been submitted in English. Thirdly, the Panel does not consider it necessary to admit the Complainant’s proposed supplemental filing into the record in this proceeding. The first element that the Complainant must establish is that the disputed domain name is identical or confusingly similar to the Complainant’s trademark rights. The Complainant’s pending trademark applications do not qualify as trademark rights for the purposes of the Policy in the circumstances of this case: WIPO Overview 3.0 section 1.1.4. The Complainant has provided evidence of his use of his trademark since 2011 as outlined above which the Panel finds is sufficient to qualify as rights in “Electrum” as an unregistered trademark for the purposes of the Policy. Further to the matters outlined above, the Panel notes that the Complainant’s software under the name “Electrum” has received many favourable mentions in media reports including being ranked third in the top five Bitcoin wallets by US News and World Report on May 3, 2018. The second stage of this inquiry requires a visual and aural comparison of the disputed domain name to the proven trademark: see WIPO Overview 3.0, section 1.7. In making this comparison, it is permissible to disregard the generic Top-Level Domain (“gTLD”) included in the domain name as a functional requirement of the domain name system. Further, questions such as the scope of the trademark rights, the geographical location of the respective parties and other considerations that may be relevant to an assessment of infringement under trademark law are not relevant at this stage. Such matters, if relevant, may fall for consideration under the other elements of the Policy. Disregarding the gTLD, “.com”, the disputed domain name consists solely of the Complainant’s trademark “Electrum”. The Panel finds therefore that the disputed domain name is identical to the Complainant’s trademark. The onus of proving this requirement, like each element, falls on the complainant. 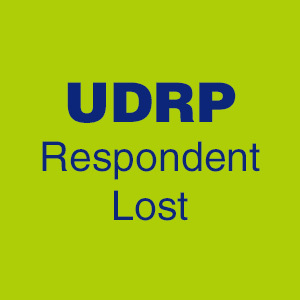 UDRP panels have recognized the difficulties inherent in proving a negative, however, especially in circumstances where much of the relevant information is in, or likely to be in, the possession of the respondent. Accordingly, it is usually sufficient for a complainant to raise a prima facie case against the respondent under this head, and an evidential burden will shift to the respondent to rebut that prima facie case. See, e.g., section 2.1 of the WIPO Overview 3.0. The Complainant states that it has not licensed or authorised the Respondent to use its trademark. There is no other association between the Complainant and the Respondent. The disputed domain name is not apparently derived from the Respondent’s name. The Respondent contends that the word “electrum” is an ordinary English word meaning a metal made from gold and silver. As noted above, the Respondent says that the disputed domain name was registered and is being used to promote the “Electrum” rare coins of Fujian Nanan Top Way Stone Co., Ltd.
“Electrum” can be an ordinary English word, as claimed by the Respondent. It also appears that the disputed domain name does resolve now to a website promoting the wares of Fujian Nanan Top Way Stone Co., Ltd. It is far from clear from the latter’s website on Alibaba.com that Fujian Nanan Top Way Stone Co., Ltd. does in fact offer for sale “Electrum antique coins”. In any event, it does not matter. Resolution of the disputed domain name to that website is a quite recent development. Prior to notification of the Complaint, the disputed domain name resolved to a website which purported to offer software for a Bitcoin wallet for download. And, as mentioned, that software has been confirmed by sources independent of the Parties to be software for diverting users’ Bitcoin to the operator of the website at the disputed domain name. The software on that website was branded “Electrum Pro”. Moreover, the website used a colour scheme very similar to the colour scheme used by the Complainant on his website. The Panel considers that the naming of the software and the colour scheme of the website had a very high potential to confuse Internet users into mistakenly believing they were dealing with the Complainant and his software. The evidence in this proceeding amply supports the Complainant’s allegation that the Respondent has been using the Complainant’s reputation in his trademark as part of a malware distribution scheme to trick third party users. While the Policy recognises that people may have a right to register and use ordinary, descriptive words in the face of another’s trademark, it does not provide a blanket entitlement. To qualify as a right or legitimate interest, the domain name in question must be used in connection with its ordinary or descriptive meaning. The Policy does not countenance registration of a descriptive or dictionary word to trade on another’s trademark (unless some other basis for entitlement can be shown): WIPO Overview 3.0, section 2.10. That is not this case. The Complainant has been using his trademark since 2011. The use of the Complainant’s trademark in a confusingly similar domain name with the apparent purpose of diverting Bitcoin from their rightful owners does not qualify as a good faith offering of goods or services under the Policy. Accordingly, the Panel finds that the Complainant has established the Respondent does not have rights or legitimate interests in the disputed domain name. Generally, a finding that a domain name has been registered and is being used in bad faith requires an inference to be drawn that the respondent in question has registered and is using the disputed domain name to take advantage of its significance as a trademark owned by (usually) the complainant. The reasons for rejecting the Respondent’s claim to rights or a legitimate interest in the disputed domain name lead directly to the conclusion that the disputed domain name was registered and has been used in bad faith. The Panel finds therefore that the Complainant has established on the record in this case that the Respondent registered and is using the disputed domain name in bad faith contrary to the Policy. For the foregoing reasons, in accordance with paragraphs 4(i) of the Policy and 15 of the Rules, the Panel orders that the disputed domain name <electrum.com> be transferred to the Complainant. 1 For example, Armin Davis, “Malware Wallet ‘Electrum Pro’ Stealing Seed Keys”, (https://blockexplorer.com/news/electrtum-pro-steals-seeds/), May 9, 2018.